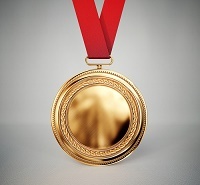 WIX vs. GoDaddy Templates: Who is Going for the Gold? Among other factors, the success of a website is sometimes determined by how long visitors spend browsing through the pages on your site. And one of the best ways to keep visitors on your site, is to present them with a look and feel that’s welcoming and easy on the eyes. That’s where website templates come into play. Your website template is the foundation of your site, whether you are running a real estate blog or want to present your restaurant to the online world. Templates determine the page layout, color scheme, and general feel of your website. Your template also influences the user experience for your visitors, including how easily they can navigate to a shopping cart or photo gallery. Both Wix and GoDaddy have templates geared toward specific industries, including cars, food and restaurants, health, and pets. While GoDaddy has a fair selection of templates for both business and personal use, it is Wix that wins this round. GoDaddy only offers many of its templates to customers paying for a high tier of service. 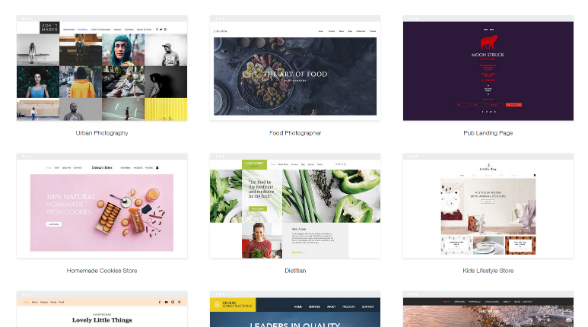 Not only does Wix have hundreds of free templates, carefully categorized by specific industries on their own website, but users are also able to see a full preview of the template before selecting it or even committing to Wix. These benefits allow web designers to choose a template with more confidence. The second round of our Wix vs. GoDaddy website builder comparison focuses on the creativity behind the designs. 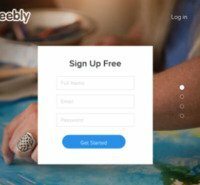 GoDaddy offers fairly clean and simple template designs, making this company a good option for people who are not looking for tons of bells and whistles. 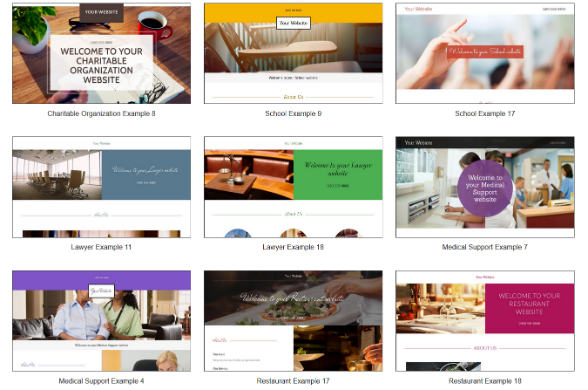 While the templates offered by GoDaddy have varied color schemes, imagery, and layouts, most have a fairly similar blueprint of a large image at the top of the screen with smaller modules beneath it or along the sides of the screen. Wix templates offer more diversity. Some templates contain a single large image at the top of the screen and smaller modules in front of the photo, while other templates have very little room for photos on the home page. If what you seek as a Web designer is a large pool of template options, many of which are more complex than the standard beginner’s design, then Wix is the better choice. Both Wix and GoDaddy offer responsive templates. These types of templates respond to nearly any screen, from 5-inch smartphones to 17-inch desktop monitors. When you use a responsive template, your website will automatically resize images and adjust the resolution to fit the screen being used. You don’t need to create separate URLs for your mobile and desktop sites–which saves you time and energy, and helps your SEO. Since both Wix and GoDaddy have made their templates responsive, you can safely create a free website with either provider and know that mobile users are able to easily pull up and use your website. All of Wix's templates, as well as use of its drag-and-drop editor to customize the template is completely free. However, you will have to upgrade to one of Wix's paid plans to unlock some additional features, such as add-ons to the template that will allow you to accept payments online. GoDaddy employs a slightly different model, offering some templates for free, while others cost a fee. The free templates are harder to customize and lack the functionality of GoDaddy's paid templates. Business owners are unlikely to find what they are looking for with GoDaddy's free templates. They are more suited to personal, or amatuer websites. While Wix offers free templates fitting to online stores, business sites, portfolio sites and personal sites, realistically, a free site is not a viable option for a business or professional website. Wix's free templates for businesses, online stores and portfolios are beautiful, however, they don't have the functionality that an online store would need, they feature Wix ads on your site, and they don't allow you to have your own unique URL. This means that rather than your site having a web address such as www.newshoes.com, it will have a branded Wix URL, such as, www.newshoes.wixsite.com/website. So, while the template may be free, if you want a successful business site, you'll still likely have to pay for a plan, whether you opt for GoDaddy or Wix. So, how do the costs of Wix and GoDaddy's paid plans compare? 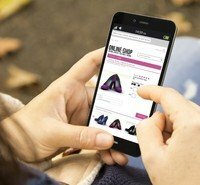 GoDaddy has a personal website plan for $5.99 per month, a business plan for $9.99 per month, a business plus plan, which has more marketing functions included for $14.99 per month, and an Ecommerce plan for those who need a shopping cart where customers can by products for $29.99 per month. Wix offers a tiered pricing system as well. You can connect an existing domain for $5 per month, while a personal plan will run you $10 per month. Wix's Unlimited Plan, for entrepreneurs and freelancers costs $14 per month, while its e-commerce plan is $17 a month. For those looking for increased support for their online store, the VIP plan costs $25 per month. The major difference between the two website builders is that all of Wix's templates are available for all of their plans, while GoDaddy offers a limited number of templates for their cheaper plans and adds more template options as you go up in pricing tiers. 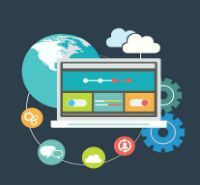 Choosing a website template is a difficult decision, and a provider may be perfect for one business while not a great fit for another. All things considered, Wix offers superior selection for free templates and takes home our gold medal. Still, it’s important to consider your budget, design knowledge, and other needs before you choose GoDaddy or Wix.